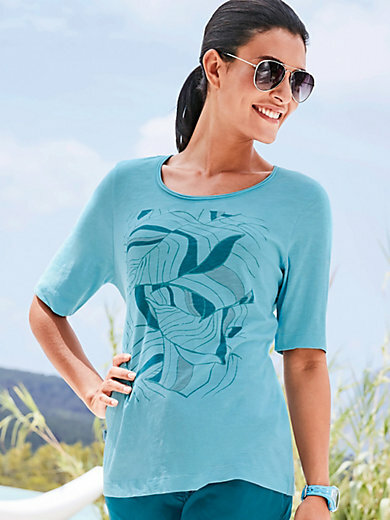 Round neck top by JOY SPORTSWEAR with short sleeves. Skin-friendly and breathable made of mottled yarn in 100% cotton with fashionable print on the front. Length approx. 26ins. The round neck top is machine washable.